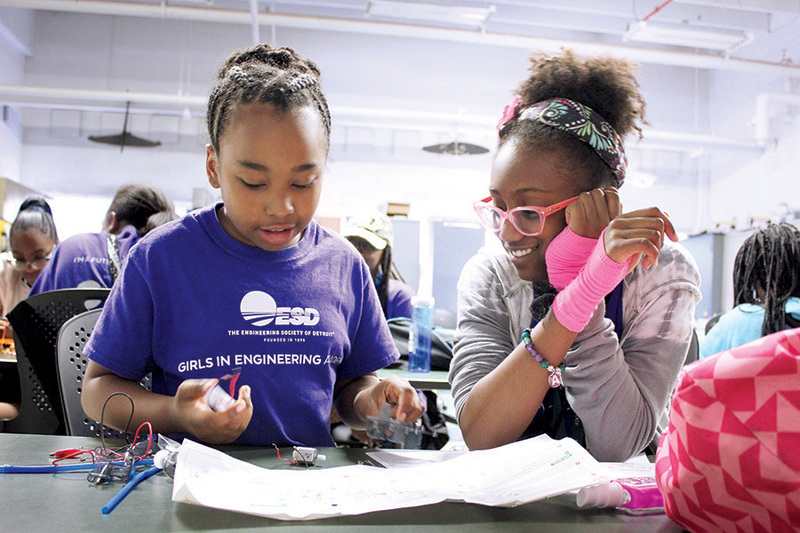 Amara Small (right), with Sage Johnson, working on a robotics project. Amara Small is a seventh grader who attends Detroit public schools. This is her second year in ESD’s Girls in Engineering Academy, a multi-year program that prepares girls to become engineers. To Amara, this program is invaluable because she simply would not have similar opportunities at her school. 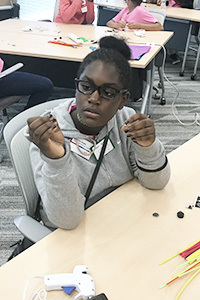 Without programs like ours, bright students like Amara may never realize that they could become future engineers, let alone have the preparation they need to succeed in a rigorous engineering program. Because of your financial support, more students like Amara can realize their potential. Please consider a donation today so that we can expand our efforts to build the engineers of tomorrow. or call 248-353-0735 to give a gift by phone. London Smith doing an experimental physics project.